It’s McMahon, Lisovicz, Dowd, Pine and Cullinan for the defense, as Mazzarella’s Ridgers open season 8-3 | Mike Lamberti, From Margate To Cleveland, And Back ! 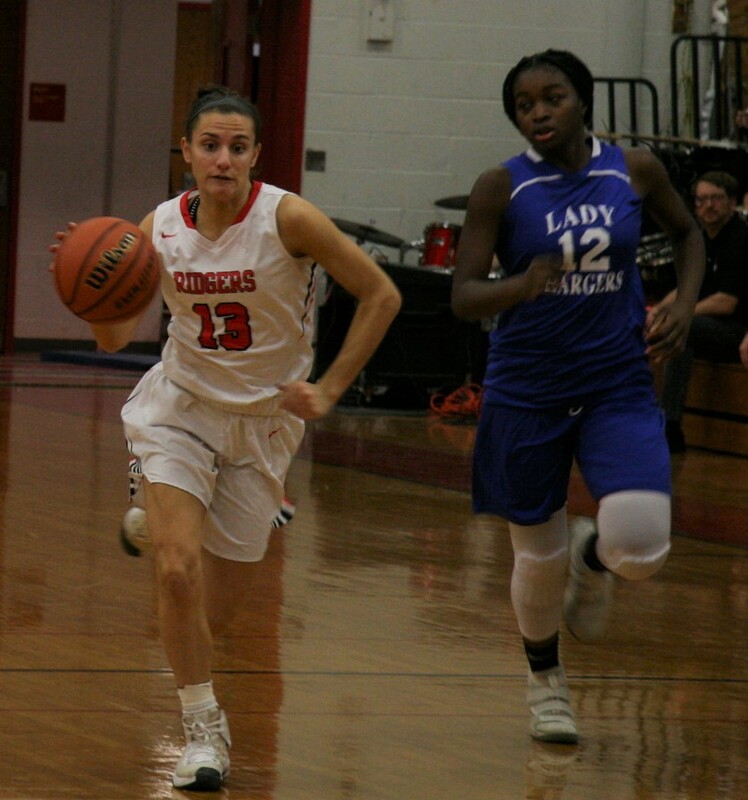 A key part of the 2018-2019 season awaited the Glen Ridge High girls’ basketball team, and head coach Joe Mazzarella feels his players are ready for the challenge, with a tenacious defensive presence. The Ridgers took an 8-3 record into a game with Verona, on Jan. 15, at 4 p.m. On Jan. 17, the team is home to face Caldwell, in a 7 p.m. start. On Jan. 19, another big home game awaits, when Newark Academy visits, at 11:30 a.m. and on Jan. 22, it’s off to Orange, for a 4 p.m. game. After losing a 34-32 decision to Bloomfield in the championship game of the Glen Ridge Holiday Tournament, on Dec. 29, the Ridgers rebounded with wins over Science Park, 50-11, Newark Central, 40-24, Livingston, 34-25 and Mount St. Dominic, 36-20. Livingston’s defensive scheme was to stop the Ridgers’ top two scorers, team captains Jenny Lisovicz and Claire McMahon. The game was tied at 12 at halftime before the Ridgers took control with a staunch defensive effort in the final 16 minutes. Dowd and McMahon scored nine points each, Pine had five points, Sarah Cullinan and Zipporah Hommel had four each and Lisovicz finished with three points. McMahon had 19 points to lead Glen Ridge past Newark Central on Jan. 4. Lisovicz scored 10, Cullinan had nine and Elettra Giantomenico finished with two points. Against Mount St. Dominic, the Ridgers opened a 14-5 first quarter lead and held the Lions to seven points in the second half. 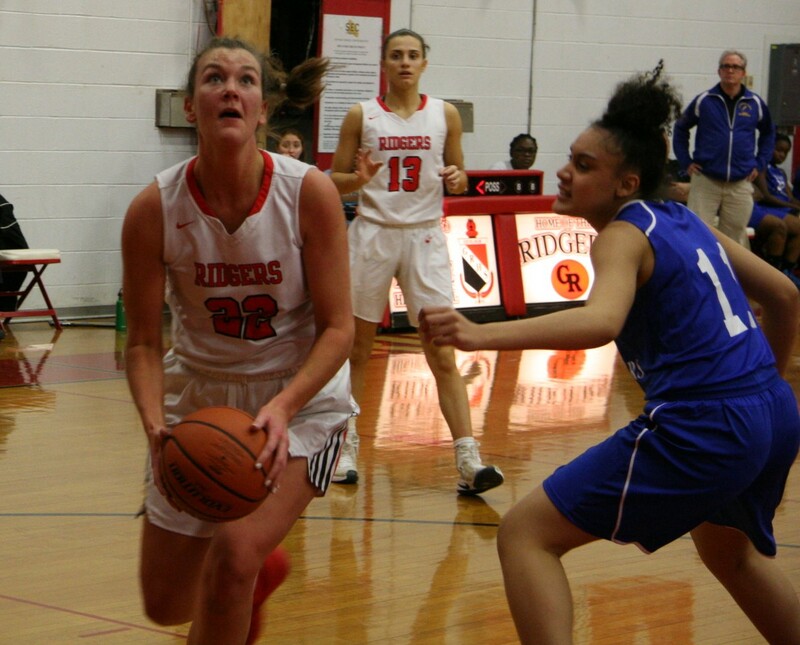 Lisovicz had 14 points, McMahon scored 12 and Dowd finished with six to pace Glen Ridge.